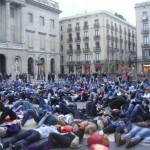 One of the things I wanted to do in my lifetime is to be part of a flashmob! 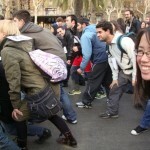 When I heard about Improv Everywhere, I had to be part of it somehow! It started in New York and the idea spread. Their motto is to cause scene and joy in public places. 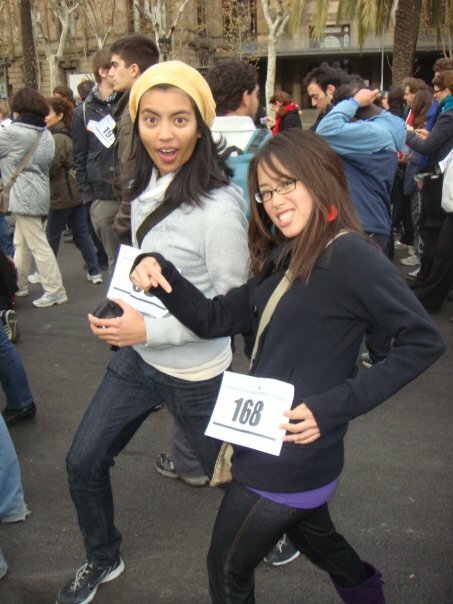 When I received a message on Facebook about a Flashmob Marathon in Barcelona, I jumped at the opportunity while studying abroad! There were five different missions and my friends and I joined in on three of them. The first one was the slow-motion race. 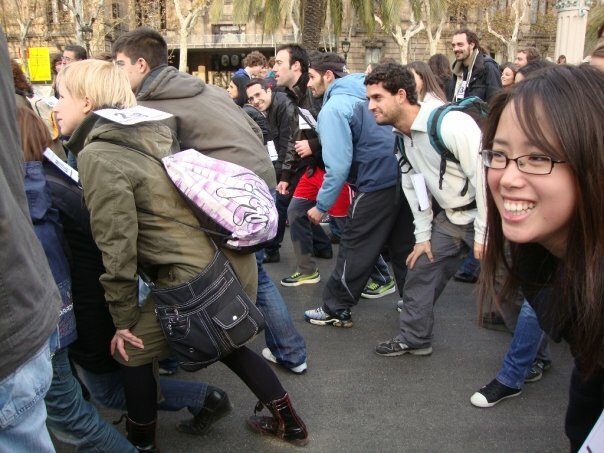 We all lined up to start a race in slow motion at the Arc de Triomf. 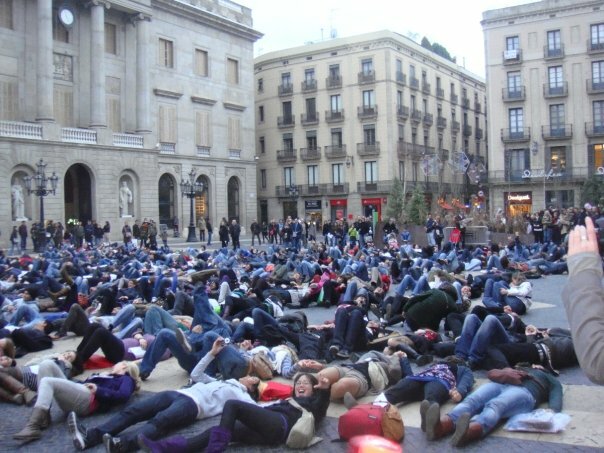 Afterwards, we headed to Las Ramblas for a large group of people to freeze for 5 minutes. 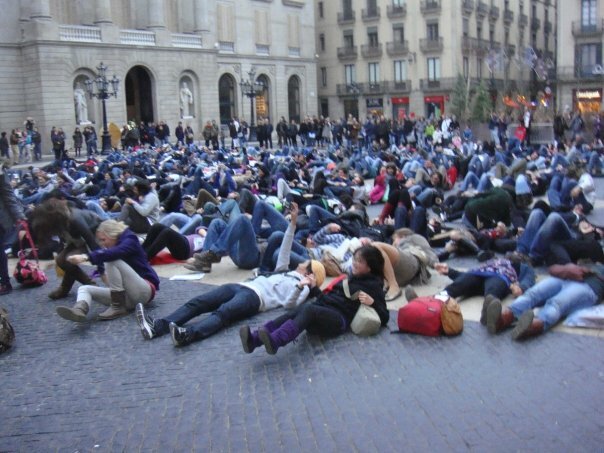 Then, we headed to Placa de Jaume for the human pyramid where we lined up as a big human triangle and fell like dominoes all at the same time! 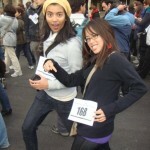 There aren’t too many pictures as it’s difficult to take pictures while participating (specially during the freeze mission). It was a blast, and I suggest you join in! 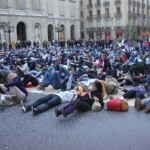 Visit the Improv Everywhere website, add them on Twitter, and become a fan on Facebook to see if they are going to be in your town for the next mission!